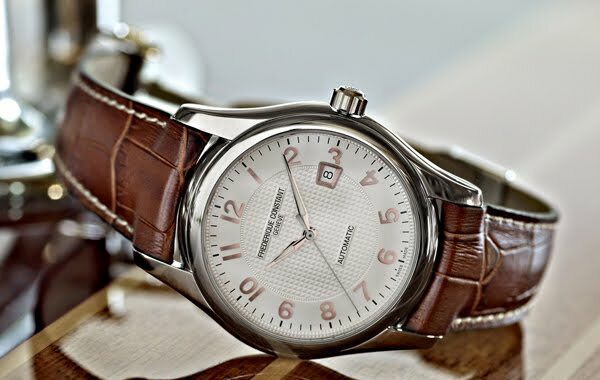 Since 2009, Swiss watch Manufacturer Frédérique Constant celebrates the legendary Runabout yachts of the Roaring Twenties, by offering an attractive series of limited edition timepieces named “Runabout”. The new models are available in a limited editions of 1’888 pieces per version. Featuring a case diameter of 43mm and presented in stainless steel, the new Runabout Venice Editions offer finely decorated silvered dials. With a delicate guilloche decoration at the centre, hand-applied Arabic indexes, and perfectly positioned Chronograph counters, these watches exude an uncluttered elegance, just like the Runabout yachts by which they were inspired. Through the sapphire case-back, the decorated automatic movement can be admired. Traditionally, each Runabout timepiece comes with its own luxurious, handmade wooden case that echoes the passionate craftsmanship of the yachts. 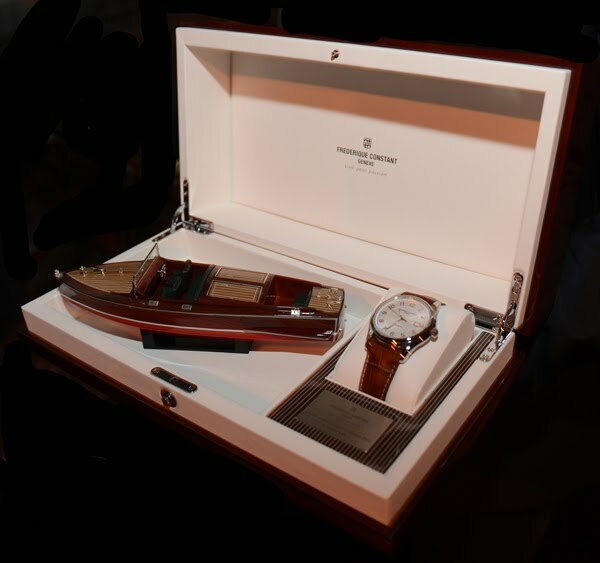 Alongside the watch, a miniature reproduction of a classic Runabout boat can be found inside the unique gift box. End of April 2012, Frederique Constant hosted a unique event on the waters of Venice, to celebrate its connection with Runabout boats. 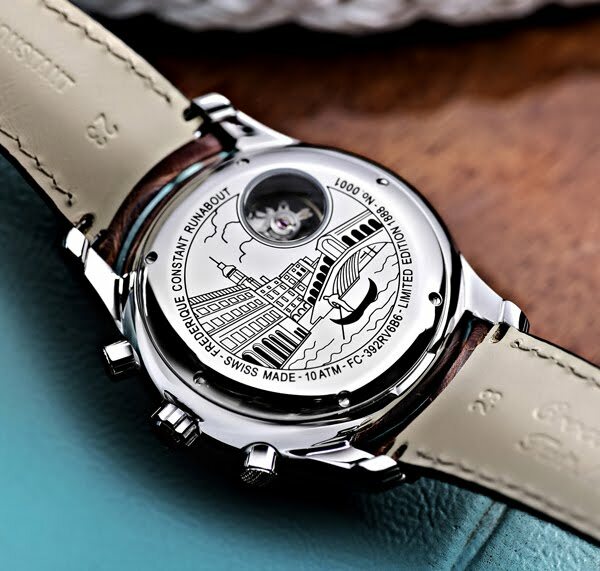 After sponsoring the Helice Classique on Lake Geneva and the Lake Tahoe Concours d’Elegance in the USA, it was time to organize a dedicated Frederique Constant Runabout event. A select group of 200 clients and members of the press enjoyed a three-day event in the City of Water. A large fleet of Runabout boats, gathered specifically for this event proved to be stylish means of transportation and offered amazing views of Venice. During the actual Challenge, teams in each Runabout boat had to compete for the Frederique Constant Runabout Trophy. The event’s aim was to pay homage and to gather many of the remaining Runabout yachts. Yachts that today - as in their heyday - symbolize elegance, sophistication and ageless design. It is these characteristics that make the devotion of Frédérique Constant to Runabout boats so apt, so perfect, because those same values and qualities apply to the Runabout Collection. A Runabout is a gentlemen’s motorboat holding between four and eight people, well suited to moving about on the water. The first runabouts date back to the 1920s and were originally small, fast, powerful varnished wooden boats created to take advantage of the power of a V8 inboard engine. In order to gain speed, the hull shape had to be designed to take advantage of hydroplaning; a hydrofoil-like design would allow the boat to skim atop the water's surface at high speed instead of needing to push aside large quantities of water to move forward. A classic Runabout boat is a design icon, a moving sculpture in wood, chrome and glass that commands attention wherever it goes. Add to this a long list of famous owners and an association with exotic Mediterranean locations such as Monaco and San Tropez, and it is no wonder that the Runabout has, over time, become a legend. The iconic style of Runabouts frequently features in advertisements and editorials.